Climate change activists holding a banner that reads ‘1POINT5 = LIFE LINE’ during previous UN Climate Conference. A devastating heat wave swept across Europe in 2003, killing tens of thousands of people, scientists estimate. Many were elderly, with limited mobility, and some already suffered from chronic diseases. But climate change is making such extreme weather more common—and the effects will not be limited to the old and sick. Warming temperatures do not only threaten lives directly. They also cause billions of hours of lost labor, enhance conditions for the spread of infectious diseases and reduce crop yields, according to a recent report. The report, published last December in the Lancet, represents the latest findings of the Lancet Countdown—a coalition of international research organizations collaborating with the World Health Organization and the World Meteorological Organization. The group tracks the health impacts of—and government responses to—climate change. Sweltering temperatures also affect productivity. A staggering 153 billion hours of labor—80 percent of them in agriculture—were lost to excessive heat in 2017, the new report found, with the most vulnerable areas being in India, Southeast Asia, sub-Saharan Africa and South America. The first stage of heat’s impact is discomfort, says report co-author Tord Kjellstrom, director of the Health and Environment International Trust in New Zealand and a consultant on environmental and occupational health. But there comes a point at which it is simply too hot for the body to function. For example, sweating heavily without replenishing water can result in chronic kidney disease, Kjellstrom notes. News reports have documented farm workers in Central America dying from kidney problems after years of working in the hot fields. Richer countries such as the U.S. may avoid the worst effects because of better access to drinking water and, in the case of indoor work, air-conditioning. But these solutions can be expensive, Kjellstrom says. 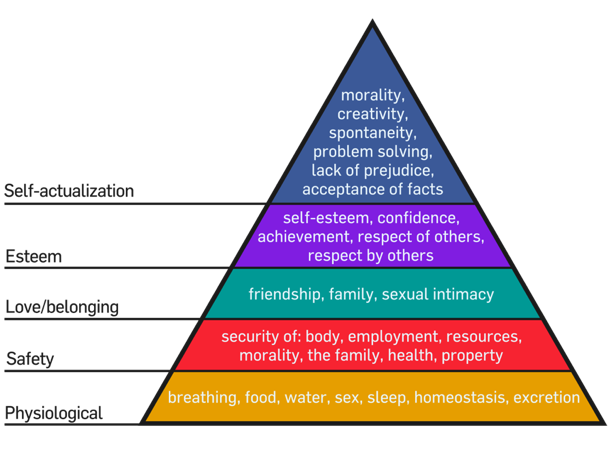 Then there are indirect effects. For example, warmer temperatures have increased the geographical ranges of organisms that spread dengue fever, malaria and cholera. The “vectorial capacity”—a measure of how easily a disease carrier can transmit a pathogen—of dengue virus, which is spread by the Aedes aegypti and Aedes albopictus mosquitoes, reached a record high in 2016. The percentage of coastline suitable for bacteria in the Vibrio genus (which includes the species that causes cholera) increased from the 1980s to the 2010s in the Baltic region and northeastern U.S. by 24 and 27 percent, respectively. In Africa’s highlands, environmental suitability for the malaria-causing Plasmodium falciparum parasite increased by nearly 21 percent from the 1950s to the 2010s. Climate change also threatens food security. Our planet still produces more than enough food for the world, but 30 countries have seen crop yields decline as a result of extreme weather, the report found. “Overall, the report does suggest very serious concerns about the way in which climate change is evolving and its potential implications for human health,” says Andy Haines, a professor of environmental change and public health at the London School of Hygiene & Tropical Medicine, who was not involved in the 2018 report but has co-authored previous Lancet Countdown assessments. “One of the problems is that we don’t have enough data on the actual impacts, particularly in the low-income countries,” which will likely be most affected, he says. The report did find some bright spots: in 2015, 30 of 40 countries surveyed by the WHO reported having climate change health adaptation plans, and 65 percent of cities have undertaken (or are undertaking) risk assessments that address threats to public health infrastructure. But worldwide spending on health adaptation is still under 5 percent of all climate adaptation spending. And funding has not matched that pledged in the Paris Agreement, the global climate accord that is set to take effect in 2020. 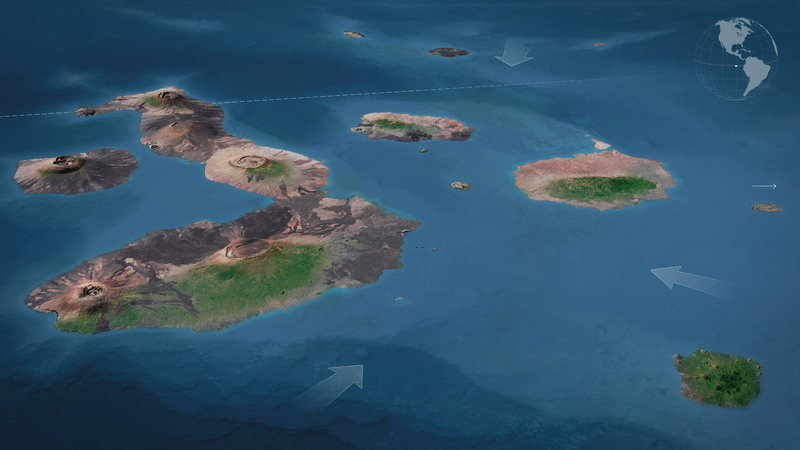 The theory of evolution has its origins in the Galápagos. Now climate change is rapidly heating the ocean here. Nicholas Casey, a New York Times correspondent based in Colombia, and Josh Haner, a Times photographer, traveled 600 miles off the coast of Ecuador to see how ocean warming is affecting Darwin’s first laboratory. ALCEDO VOLCANO, Galápagos — When the clouds break, the equatorial sun bears down on the crater of this steaming volcano, revealing a watery landscape where the theory of evolution began to be conceived. 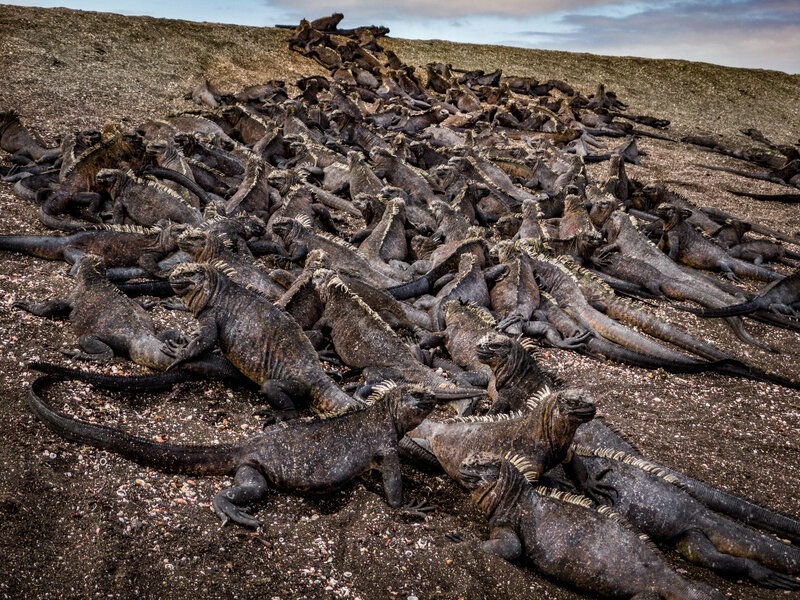 Across a shallow strip of sea lies the island of Santiago, where Charles Darwin once sighted marine iguanas, the only lizard that scours the ocean for food. Finches, the product of slow generational flux, dart by. Now, in the era of climate change, they might be no match for the whims of natural selection. In the struggle against extinction on these islands, Darwin saw a blueprint for the origin of every species, including humans. Yet not even Darwin could have imagined what awaited the Galápagos, where the stage is set for perhaps the greatest evolutionary test yet. Marine iguanas on Fernandina Island. As climate change warms the world’s oceans, these islands are a crucible. And scientists are worried. Not only do the Galápagos sit at the intersection of three ocean currents, they are in the cross hairs of one of the world’s most destructive weather patterns, El Niño, which causes rapid, extreme ocean heating across the Eastern Pacific tropics. Research published in 2014 by more than a dozen climate scientists warned that rising ocean temperatures were making El Niño both more frequent and more intense. Unesco, the United Nations educational and cultural agency, now warns the Galápagos Islands are one of the places most vulnerable to the impacts of climate change. Mr. Sevilla and other workers at the park are now considering mitigation efforts to try to protect threatened species from the more frequent El Niño events that have come with climate change. The park already has a program to breed giant tortoises in captivity. Right to end life on Earth: Can corporations that spread climate change denialism be held liable? This is the question posed by the existential crisis of man-made global warming, and it is one that doesn’t lend itself to an easy answer. Certainly it can be acknowledged that man-made global warming has forced us to re-examine other verities that once underpinned the modern liberal political order. Laissez-faire economic theory, which holds that state regulation of the economy is an unequivocal social ill, doesn’t stand up when you consider that insufficient environmental regulations got us into this mess and stronger ones will be necessary to mitigate the damage. A similar observation could be made about the consumerist ethos that drives free market economic models: A status quo of constant expansion may be economically healthy within the paradigm of capitalist markets, but it is devastatingly unsustainable when it comes to the fitness of our planet. These are more obvious conclusions, and more comfortable ones too, since anyone who doesn’t view free market economic theory as a dogma akin to a secular religion (that is, anyone who hasn’t drunk the right-wing Kool-aid) admits that we can increase state regulations over the economy without fundamentally eroding human freedom. Yet the same cannot be said thinking that civil or even criminal penalties should be imposed on the men and women who abuse free speech to insist that the Earth is not heading toward catastrophe when the scientific evidence conclusively proves otherwise. Michael E. Mann, a professor of atmospheric science at Penn State University, shared his own views on whether individuals who mislead the public about climate change should face penalties for doing so. Kevin Trenberth, a distinguished senior scientist in the Climate Analysis Section at the National Center for Atmospheric Research, broke down the situation in a similar way. Tribe also acknowledged that, while it is questionable whether climate change deniers should be held financially accountable for spreading misinformation, harsher consequences should be imposed on government officials who shirk their responsibility to the public. Expanding on Tribe’s point, there is no reason that Republican Party politicians who have access to reliable information about the threat posed by man-made climate change and choose not to act on it — or even actively suppress it — should not be held legally accountable for doing so. While it is tempting to focus on President Donald Trump in this respect, it is important to remember that most of his fellow Republicans share his climate change denialism and likely would have acted similarly when it comes to stifling scientific research and ignoring the threat of global warming. While Trump should be held accountable for what he has done, it would be folly to forget that on this issue, his actions are entirely consistent with the will of his party. And should that entire party be held legally accountable? Like Tribe, I would argue no, but the answer doesn’t entirely sit well with me. Whether they ignore man-made climate change because they hate liberals and wish to defy them, or because admitting to its reality would force them to modify their economic philosophy, or for any other reason, the bottom line is that they are convincing people that the theater isn’t on fire even as it continues to burn to the ground. The fact that the prevailing concepts regarding political freedom protect their right to abet the conflagration, but not the rights of those whose lives will be destroyed in the process, demonstrates that — if nothing else — our ideas about preserving freedom and justice in a civilized society need to be updated. A forest planted on an abandoned open-pit coal mine, Germany. The ideas of William Nordhaus and Paul Romer have shaped today’s policies on greenhouse gas emissions. William Nordhaus (left) and Paul Romer. A pair of U.S. economists, William Nordhaus and Paul Romer, share the 2018 Nobel Prize in Economic Sciences for integrating climate change, and technological change, into macroeconomics, which deals with the behaviour of an economy as a whole. Nordhaus, at the University of Yale in New Haven, Connecticut, is the founding father of the study of climate change economics. Economic models he has developed since the 1990s are now widely used to weigh the costs and benefits of curbing greenhouse gas emissions against those of inaction. His studies are central to determining the social cost of carbon, an attempt to quantify the total cost to society of greenhouse-gases, including hidden factors such as extreme weather and lower crop yields. 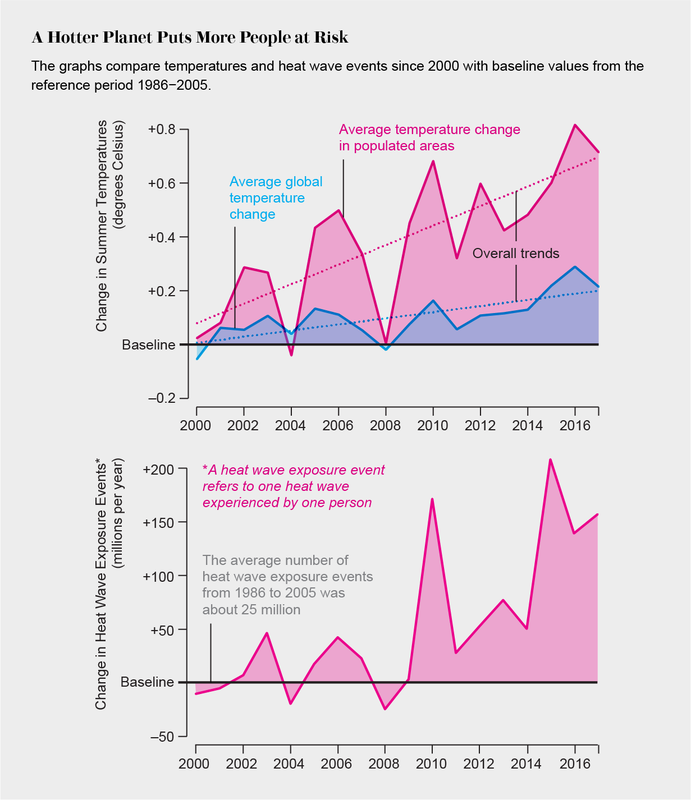 The metric is increasingly used when implementing climate change policies. Romer, who is at the NYU Stern School of Business in New York, was honoured for his work on the role of technological change in economic growth. The economist is best-known for his studies on how market forces and economic decisions facilitate technological change. His ‘endogenous growth theory’, developed in the 1990s, opened new avenues of research on how policies and regulations can prompt new ideas and economic innovation. Last year, on January 19th, the Environmental Protection Agency (EPA) began removing key references to climate change from its website. Now, over a year later, the information is still conspicuously missing. Thankfully, the Environmental Data and Governance Initiative (EDGI) has carefully documented the overhaul and removal of all government documents, webpages and websites regarding climate change – not to mention significant language changes to the information that still exists. While several other agencies, like the Department of Energy (DOE) and the Department of State, have also removed or significantly reduced climate web content, under administrator and climate denier Scott Pruitt, the EPA has removed the most. The most drastic changes at the EPA came one day before the People’s Climate March, when the agency made substantial alterations to its climate change website. Now, when you try to access the EPA climate change web page, it merely reads “This page is being updated.” Plus, the climate change tab is now entirely removed from the EPA homepage. Screenshots and red underlines in the sections are by TIME. After the overhaul, the agency provided archived screenshots of the older pages in order to comply with the Freedom of Information Act. However, some pages which were entirely removed, like the “Student’s Global Guide to Climate Change”, were not included in EPA archives. “The EPA’s notice that an overhaul was in progress did represent some degree of transparency, yet it failed to note which domains and pages were being removed or altered,” reads the EDGI report. One of the many websites removed last year was the “Climate and Energy Resources for State, Local, and Tribal Governments” website, which contained 380 pages of information. About three months after this website was removed, a new website titled “Energy Resources for State, Local, and Tribal Governments” was launched. On the new page, over 200 pages of information were omitted, including references to and descriptions of climate and change change. While many of the links contained within the climate change subdomain still exist, they are notoriously difficult to find, buried within pages and pages of government material. Meanwhile, other pages have simply been deleted. For instance, if you search the term “climate change” on EPA.gov, it produce around 5,000 results. In the past, a similar search would have produced closer to 12,000 results. Apart from burying and deleting information, the agency has also drastically changed the information available. For instance, a map that detail the regional affects of climate change has now been replaced with a far less-detailed version. Of the 56 states and territories on the new EPA map, only 19 bother to mention climate change, and out of 19 links, only 8 are functional. Still, many American states and cities are not letting the federal government get away with such censorship. Concerned by the lost climate information, for instance, Chicago has copied old EPA web pages over to the city’s own website. Alongside Chicago, 14 states and territories have formed the U.S. Climate Alliance, which represents a pledge to uphold the Paris accord and reduce emissions, and 382 cities have joined the Climate Mayors, promising similar sustainable practices. “Censoring scientific data doesn’t make its threats any less real, it hides the problem from the American people so the Trump administration can wage a dangerous assault on public health safeguards that protect all Americans,” Gina McCarthy, the EPA administrator under President Obama told TIME. Humans are complicated and changing behavior is no easy task, but thinking about how to overcome empathy or powerlessness is the first step to getting others involved with the movement for solutions. If you’re ready to make a difference in your community, download our Make It a Reality Action Kit now to get started. Our climate action kit will give you a thorough look at the climate crisis and ways you can participate in the fight for a bright, sustainable future. The coal power plant in Jaenschwalde, Germany, on Saturday.